Instructions for Installing TRD Rear Stabilizing Cover? Hey guys, I just recently bought this part. The only issue is that the install instructions are in Japanese. Does anyone have a guide in English, or know where I could get one? 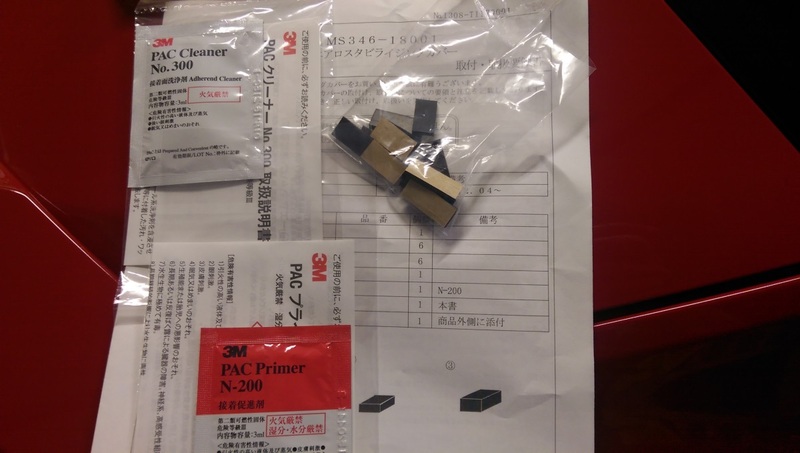 Would anyone on here be able to translate the Japanese instructions if I uploaded them? Thanks in advance. I thought it sticks on with double-sided tape... lol. did it come with any hardware? from some photos i see online.. looks like just double sided tape??? Where you get it and how much....thanks! Mine was very easy to install....clean the glass, center the piece, stick it down and pull the covers off the double-sided tape. Done. Looks great and fills that funky gap with something besides leaves. The only thing you need to watch out for...don't mount it too close to the trunk lid. When you open the trunk the lid moves forward slightly, if the piece is mounted too close it WILL rub. Worse in the winter when everything's cold. They include some small rubber pieces for setting the spacing. You need at least an eighth inch spacing, maybe a quarter inch to be sure....but closer looks better. Stick it down loosely and see if the trunk lid clears it...if so then you win. Sorry it took me so long to get back to this thread. 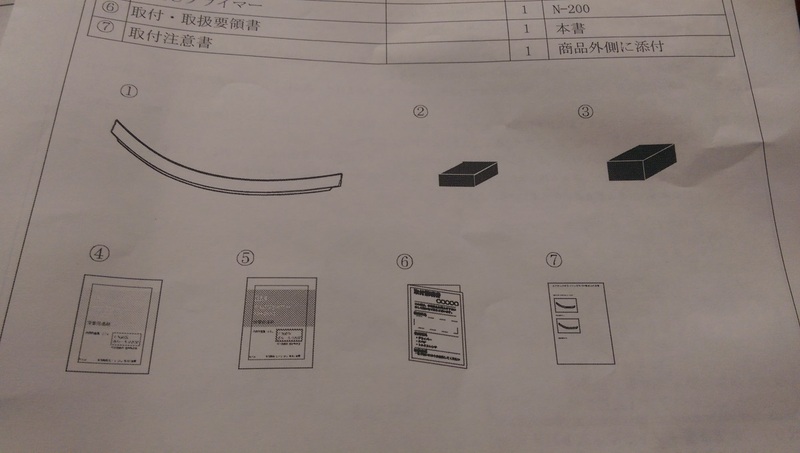 There is hardware and the instructions are confusing me. I uploaded what came with the cover and the instructions. I get the basic concept, but can someone tell me what to do with the spacers? They look like they have an adhesive strip on them. The spacers are used to adjust the gap between the stabilizer and trunk lid. They have adhesive to stick the spacers together if you need a larger gap or to better center it all the way across. You do not stick the spacers to the stabilizer or trunk lid. Place them in between the stabilizer and trunk lid and leave them there until you remove the strips to the adhesive on the stabilizer. Once the stabilizer is secure, remove the spacers. 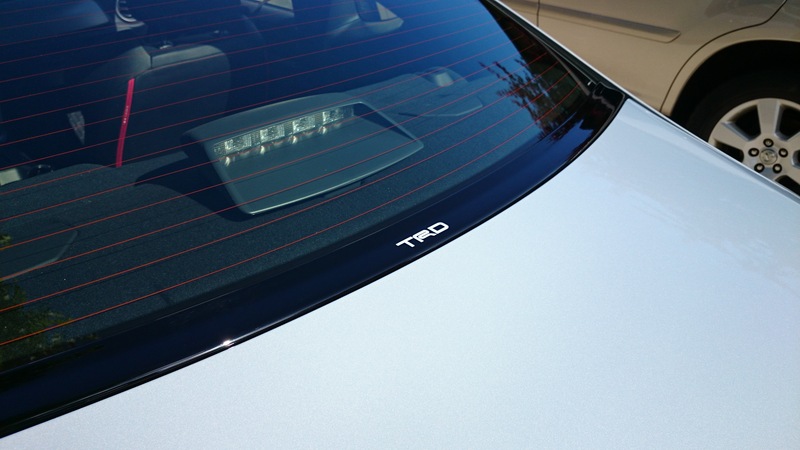 You don't need a large gap between the trunk lid, but give yourself enough to keep clear of the trunk lid and stabilizer rubbing. Thanks, that makes sense. I get using the spacers on the bottom between the trunk and cover, but am I supposed to use the spacers on the sides as well? Also, am I supposed to let the prep dry fully before my final placement? I prepped it first with the alcohol wipe and then the primer wipe. Lined it up and measured each end to make sure it was centered. I used one large spacer for the middle for the gap and then I believe I combined one large and one small spacer for each end area. I used three spacer locations to line it up total, then I removed the adhesive backing from the stabilizer. Made sure it was still lined up properly and then pressed down evenly to secure it. Bought mine through Nigel-jdmparts. His prices aren't bad. I've bought a few parts through him. Be prepared to wait for some items though. Took me about 3 months to get the stabilizer.